On September 9, 2010, an explosion rocked San Bruno’s Crestmoor neighborhood. The tragedy led to eight deaths and destroyed thirty-eight homes, with firefighters battling the resulting blaze until late the following morning. In previous blog posts, our San Francisco explosion law firm has discussed the accident and the investigation that focused on pressure levels in gas pipelines owned and operated by Pacific Gas and Electric Company (“PG&E”). Damage was compounded when, according to fire department officials, it took between sixty and ninety minutes before oil was shut off to the area around Skyline Boulevard and San Bruno Avenue. The neighborhood was left in ruins and both government and industry groups continue to try and understand the events to establish fault and prevent future tragedies. With those events still fresh in resident’s minds, it is hard to imagine the fear that must have enveloped the neighborhood when news of a gas line break filtered through the community on Thursday August 2. According to the San Francisco Chronicle, the initial report of the break at the corner of Glenview Drive and Earl Avenue in San Bruno sent shivers through the body of Deputy Fire Chief Dave Downing. He quickly dispatched five fire engines and two battalion chiefs to the neighborhood. Thankfully, the incident was nowhere near the scale of the 2010 explosion. While the fire department did evacuate fourteen homes, Downing was able to call the all-clear and allowed the residents to return home after only thirty minutes. According to PG&E and city officials, a contractor working in the area punched a hole in a two-inch plastic gas pipe with a back hoe. The rupture occurred at 10:45 A.M., a mere thirty feet south of the 2010 blast. The line was capped without damage within about thirty minutes. A spokesman for PG&E, Joe Molica, acknowledged that the workers should not have used the heavy machinery for digging a hole that was only three feet below the surface. He added that hand-digging would have been a safer choice. The contractor on the current project is Shaw Pipeline Co. of San Francisco. Matt Shaw, the company’s owner, contributed his sentiments to a statement issued by the city of San Bruno. Shaw offered apologies to the community, saying that he understood the city is still recovering from 2010 and saying that he and his team were sorry for causing unnecessary concern. One resident who lives near the intersection suggested the commotion didn’t upset him given that the constant construction noise meant there was little peace in the neighborhood anyway. It isn’t clear if his neighbors agree since many declined to speak to the media. While last week’s incident does not appear to have caused any injuries, it serves as a reminder that gas and oil accidents remain a very real threat. 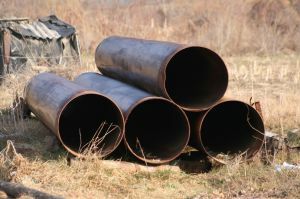 As an experienced San Francisco pipeline accident lawyer, Greg Brod can help people who have been injured or lost a loved one due to the negligence of construction crews, utility companies, or others who contributed to the accident. We can also represent people injured as a result of a California refinery accident. Please call to discuss how we can help you recover compensation for your injuries.